<img src="https://assets.podomatic.net/ts/d3/c5/e7/antonio44130/1400x1400_12525105.jpg" alt="itunes pic" /><br />Get the Netflix of Personal Development for 6 months Free. <img src="https://assets.podomatic.net/ts/d3/c5/e7/antonio44130/1400x1400_12525105.jpg" alt="itunes pic" /><br />If you haven't joined my #ATSBusinessUniversity community, you need to jump on it ASAP! By joining #ATSBusinessUniversity you will put yourself on the fast track to becoming a millionaire, you get more than 9 trainings a week, including business, marketing, and sales training, access to my exclusive keynotes, real estate training, and more winking You can join here: https://www.theatsjr.com/ats-business-university Thank you for watching this video. I hope that you keep up with the daily videos I post on the channel, subscribe, and share your learnings with those that need to hear it. I love to read your comments and they honestly help me get better and do better. — Subscribe to my podcasts here: Awareness TV https://itunes.apple.com/us/podcast/awareness-tv/id1389933804 Brick By Brick http://apple.co/2pAUvvZ Overcoming Low Self Esteem http://bit.ly/OvercomeWithTempestt Secret To Success http://bit.ly/Secret2SuccessATS B2B From A2Z https://itunes.apple.com/us/podcast/b2b-from-a2z-podcast/id1400043854 — Follow my journey to a billionaire here: https://www.youtube.com/watch?v=5kmAubxvVm8&list=PLDfDDB8Ofy_cAUendB1k1TuJ4_7kySBMS Get free millionaire training videos here: https://www.youtube.com/watch?v=oqWl4yM2n34&list=PLDfDDB8Ofy_f7koLe0RzHrZ2Ez3tzjcGg — ► Subscribe to my channel here: http://bit.ly/SubPlzATS ►Check out my Amazon Author Page here: https://www.amazon.com/Antonio-T-Smith-Jr/e/B00M3MPVJ8/ref=dp_byline_cont_book_1 — Antonio T. Smith, Jr. is a prolific public speaker, a celebrity business advisor, and a business man, who has delivered over 2000 keynotes at events such as the University of Houston, University of Wisconsin, the United States Army, Wiley College, and more, which you can listen to on his top-ranked business podcast. Antonio is an internationally recognized trainer and speaker, and best-selling author in self-help and religious categories. He specializes in Cognitive Behavior Therapy, Business and Strength Training, Leadership, Teleconference Presentations, Personal Breakthroughs, Prosperity Consciousness, Mindset Training, and all levels of effective marketing, as well as scholarship in the Old Testament and Jewish Covenants, and he owns one of the most successful technology companies in Texas. He holds a bachelor’s in Christianity and a Master’s in Theological Studies. <img src="https://assets.podomatic.net/ts/d3/c5/e7/antonio44130/1400x1400_12525105.jpg" alt="itunes pic" /><br />Earl Nightingale shares the secret to success in his famous speech "The Strangest Secret". If you haven't joined my #ATSBusinessUniversity community, you need to jump on it ASAP! By joining #ATSBusinessUniversity you will put yourself on the fast track to becoming a millionaire, you get more than 9 trainings a week, including business, marketing, and sales training, access to my exclusive keynotes, real estate training, and more winking You can join here: https://www.theatsjr.com/ats-business-university Thank you for watching this video. I hope that you keep up with the daily videos I post on the channel, subscribe, and share your learnings with those that need to hear it. I love to read your comments and they honestly help me get better and do better. — Subscribe to my podcasts here: Awareness TV https://itunes.apple.com/us/podcast/awareness-tv/id1389933804 Brick By Brick http://apple.co/2pAUvvZ Overcoming Low Self Esteem http://bit.ly/OvercomeWithTempestt Secret To Success http://bit.ly/Secret2SuccessATS B2B From A2Z https://itunes.apple.com/us/podcast/b2b-from-a2z-podcast/id1400043854 — Follow my journey to a billionaire here: https://www.youtube.com/watch?v=5kmAubxvVm8&list=PLDfDDB8Ofy_cAUendB1k1TuJ4_7kySBMS Get free millionaire training videos here: https://www.youtube.com/watch?v=oqWl4yM2n34&list=PLDfDDB8Ofy_f7koLe0RzHrZ2Ez3tzjcGg — ► Subscribe to my channel here: http://bit.ly/SubPlzATS ►Check out my Amazon Author Page here: https://www.amazon.com/Antonio-T-Smith-Jr/e/B00M3MPVJ8/ref=dp_byline_cont_book_1 — Antonio T. Smith, Jr. is a prolific public speaker, a celebrity business advisor, and a business man, who has delivered over 2000 keynotes at events such as the University of Houston, University of Wisconsin, the United States Army, Wiley College, and more, which you can listen to on his top-ranked business podcast. Antonio is an internationally recognized trainer and speaker, and best-selling author in self-help and religious categories. He specializes in Cognitive Behavior Therapy, Business and Strength Training, Leadership, Teleconference Presentations, Personal Breakthroughs, Prosperity Consciousness, Mindset Training, and all levels of effective marketing, as well as scholarship in the Old Testament and Jewish Covenants, and he owns one of the most successful technology companies in Texas. He holds a bachelor’s in Christianity and a Master’s in Theological Studies. <img src="https://assets.podomatic.net/ts/d3/c5/e7/antonio44130/1400x1400_12525105.jpg" alt="itunes pic" /><br />I wanted to post this episode because I believe we are all connected and we are all one. I feel that you have not taken abundance as seriously as you should have. Abundance Is Your Birthright. You do not have to earn it, it is already yours. The Little Money Bible - Stuart Wilde presents the ten laws of abundance and money, demonstrating that we can each align effortlessly with all the good that is divinely ours! This audio book discusses the psychological aspects money, as well as the deeper secrets of prosperity and wealth. Comprehending the ebb and flow of money is one of the great spiritual lessons of life. Throughout history, philosophers and great religious leaders have taught that there is divine abundance, which moves through our lives as the seasons do. Money is just a symbol of the infinite goodness that gives us life. Through The Little Money Bible, it is reiterated that each person can be rich and spiritual at the same time. With wealth, we have the ability to help others strengthen their lives so they can also accumulate money. This book is a great reminder that abundance is our birthright! Law of Attraction does not bring positive results without positive beliefs and positive patterns. These principles are the secret formula to follow if you wish to align with your desires the way countless others have. You are a limitless creator. Learn how to break free from self-imposed limitations and live the life you desire! Stuart Wilde was an author and lecturer in the self-help movement. He wrote many books and had a big effect on the movement for greater awareness. Over a period of twenty years, he came to be known as 'the teacher's teacher' because of the influence he had on other writers and lecturers in the field. You can purchase his books here: https://www.amazon.com/Stuart-Wilde/e... All audio content belongs to their original creators / owners. Copyright Disclaimer: Under Section 107 of the Copyright Act 1976, allowance is made for "fair use" for purposes such as criticism, comment, news reporting, teaching, scholarship, research and parody. Please notify us by email @ youniverse.coaching@gmail.com if there is a copyright concern. If you haven't joined my #ATSBusinessUniversity community, you need to jump on it ASAP! By joining #ATSBusinessUniversity you will put yourself on the fast track to becoming a millionaire, you get more than 9 trainings a week, including business, marketing, and sales training, access to my exclusive keynotes, real estate training, and more winking You can join here: https://www.theatsjr.com/ats-business-university Thank you for watching this video. I hope that you keep up with the daily videos I post on the channel, subscribe, and share your learnings with those that need to hear it. I love to read your comments and they honestly help me get better and do better. — Subscribe to my podcasts here: Awareness TV https://itunes.apple.com/us/podcast/awareness-tv/id1389933804 Brick By Brick http://apple.co/2pAUvvZ Overcoming Low Self Esteem http://bit.ly/OvercomeWithTempestt Secret To Success http://bit.ly/Secret2SuccessATS B2B From A2Z https://itunes.apple.com/us/podcast/b2b-from-a2z-podcast/id1400043854 — Follow my journey to a billionaire here: https://www.youtube.com/watch?v=5kmAubxvVm8&list=PLDfDDB8Ofy_cAUendB1k1TuJ4_7kySBMS Get free millionaire training videos here: https://www.youtube.com/watch?v=oqWl4yM2n34&list=PLDfDDB8Ofy_f7koLe0RzHrZ2Ez3tzjcGg — ► Subscribe to my channel here: http://bit.ly/SubPlzATS ►Check out my Amazon Author Page here: https://www.amazon.com/Antonio-T-Smith-Jr/e/B00M3MPVJ8/ref=dp_byline_cont_book_1 — Antonio T. Smith, Jr. is a prolific public speaker, a celebrity business advisor, and a business man, who has delivered over 2000 keynotes at events such as the University of Houston, University of Wisconsin, the United States Army, Wiley College, and more, which you can listen to on his top-ranked business podcast. Antonio is an internationally recognized trainer and speaker, and best-selling author in self-help and religious categories. He specializes in Cognitive Behavior Therapy, Business and Strength Training, Leadership, Teleconference Presentations, Personal Breakthroughs, Prosperity Consciousness, Mindset Training, and all levels of effective marketing, as well as scholarship in the Old Testament and Jewish Covenants, and he owns one of the most successful technology companies in Texas. He holds a bachelor’s in Christianity and a Master’s in Theological Studies. <img src="https://assets.podomatic.net/ts/d3/c5/e7/antonio44130/1400x1400_12525105.jpg" alt="itunes pic" /><br />If you haven't joined my #ATSBusinessUniversity community, you need to jump on it ASAP! By joining #ATSBusinessUniversity you will put yourself on the fast track to becoming a millionaire, you get more than 9 trainings a week, including business, marketing, and sales training, access to my exclusive keynotes, real estate training, and more ;) You can join here: https://www.theatsjr.com/ats-business-university Thank you for watching this video. I hope that you keep up with the daily videos I post on the channel, subscribe, and share your learnings with those that need to hear it. I love to read your comments and they honestly help me get better and do better. — Subscribe to my podcasts here: http://apple.co/2pAUvvZ http://bit.ly/OvercomeWithTempestt http://bit.ly/Secret2SuccessATS — Follow my journey to a billionaire here: https://www.youtube.com/watch?v=5kmAubxvVm8&list=PLDfDDB8Ofy_cAUendB1k1TuJ4_7kySBMS Get free millionaire training videos here: https://www.youtube.com/watch?v=oqWl4yM2n34&list=PLDfDDB8Ofy_f7koLe0RzHrZ2Ez3tzjcGg — ► Subscribe to my channel here: http://bit.ly/SubPlzATS ►Check out my Amazon Author Page here: https://www.amazon.com/Antonio-T-Smith-Jr/e/B00M3MPVJ8/ref=dp_byline_cont_book_1 — Antonio T. Smith, Jr. is a prolific public speaker, a celebrity business advisor, and a business man, who has delivered over 2000 keynotes at events such as the University of Houston, University of Wisconsin, the United States Army, Wiley College, and more, which you can listen to on his top-ranked business podcast. Antonio is an internationally recognized trainer and speaker, and best-selling author in self-help and religious categories. He specializes in Cognitive Behavior Therapy, Business and Strength Training, Leadership, Teleconference Presentations, Personal Breakthroughs, Prosperity Consciousness, Mindset Training, and all levels of effective marketing, as well as scholarship in the Old Testament and Jewish Covenants, and he owns one of the most successful technology companies in Texas. He holds a bachelor’s in Christianity and a Master’s in Theological Studies. <img src="https://assets.podomatic.net/ts/d3/c5/e7/antonio44130/1400x1400_12525105.jpg" alt="itunes pic" /><br />This episode, Antonio T. Smith, Jr., discusses the importance of constantly growing and increasing. 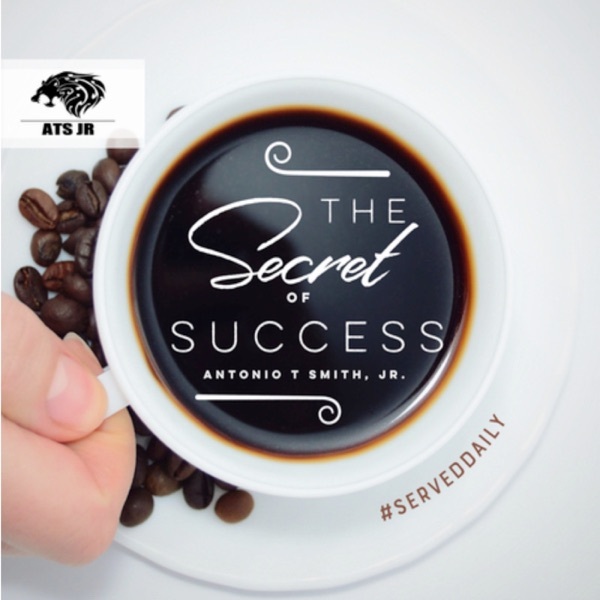 To contact Antonio and staff, email us at S2S@theatsjr.com If you haven't joined my #ATSBusinessUniversity community, you need to jump on it ASAP! By joining #ATSBusinessUniversity you will put yourself on the fast track to becoming a millionaire, you get more than 9 trainings a week, including business, marketing, and sales training, access to my exclusive keynotes, real estate training, and more ;) You can join here: https://www.theatsjr.com/ats-business-university Thank you for watching this video. I hope that you keep up with the daily videos I post on the channel, subscribe, and share your learnings with those that need to hear it. I love to read your comments and they honestly help me get better and do better. — Subscribe to my podcasts here: http://apple.co/2pAUvvZ http://bit.ly/OvercomeWithTempestt http://bit.ly/Secret2SuccessATS — Follow my journey to a billionaire here: https://www.youtube.com/watch?v=5kmAubxvVm8&list=PLDfDDB8Ofy_cAUendB1k1TuJ4_7kySBMS Get free millionaire training videos here: https://www.youtube.com/watch?v=oqWl4yM2n34&list=PLDfDDB8Ofy_f7koLe0RzHrZ2Ez3tzjcGg — ► Subscribe to my channel here: http://bit.ly/SubPlzATS ►Check out my Amazon Author Page here: https://www.amazon.com/Antonio-T-Smith-Jr/e/B00M3MPVJ8/ref=dp_byline_cont_book_1 — Antonio T. Smith, Jr. is a prolific public speaker, a celebrity business advisor, and a business man, who has delivered over 2000 keynotes at events such as the University of Houston, University of Wisconsin, the United States Army, Wiley College, and more, which you can listen to on his top-ranked business podcast. Antonio is an internationally recognized trainer and speaker, and best-selling author in self-help and religious categories. He specializes in Cognitive Behavior Therapy, Business and Strength Training, Leadership, Teleconference Presentations, Personal Breakthroughs, Prosperity Consciousness, Mindset Training, and all levels of effective marketing, as well as scholarship in the Old Testament and Jewish Covenants, and he owns one of the most successful technology companies in Texas. He holds a bachelor’s in Christianity and a Master’s in Theological Studies. <img src="https://assets.podomatic.net/ts/d3/c5/e7/antonio44130/1400x1400_12525105.jpg" alt="itunes pic" /><br />Merry Christmas, or whatever great time you choose to celebrate. Here is a bonus episode.